Today, there are so many VPN apps on the Internet market that new users often have a hard time choosing the best VPN software for their computers, tablets or mobile phones. We recommend that you do not simply choose a VPN service based on its low price or easy availability. The best VPN is, firstly, a secure VPN and, secondly, provides the fastest VPN service. 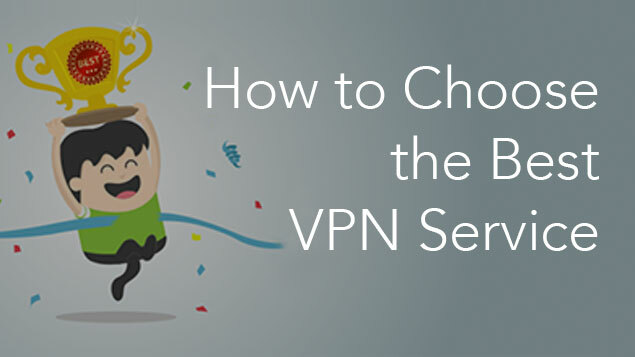 In this article, we will tell you how to choose the best VPN according to your needs. To avoid local restrictions when visiting certain websites. For example, Facebook or Google services are blocked in the territory of China, so with VPN you can access your favorite resources while traveling in this country. To secure yourself while using public networks. It is not safe or reliable to use an open Wi-Fi hotspot. It is well known that hackers can easily hack your data when you use the free Wi-Fi connection in cafes, restaurants and other public places. To surf the Internet anonymously. Do you know that your Internet provider sees all your online activity information? Keeping your data private is one more reason for using a secure VPN. Providing a Free Trial. A good VPN service always provides a free test period for the use of its VPN. This is necessary so that each user can independently evaluate the VPN service and make an informed choice. If there is no such service – it could mean that the VPN service has something to hide from its customers before the actual purchase. If the company provides a free unlimited VPN, it is a big advantage. Prices. Understand that the VPN service must be paid for because the server and the site have to be maintained, developed and promoted. In fact, an absolutely free VPN cannot be anonymous and reliable. Most free VPN services sell their customer data to third parties, which means that you will face targeted ads. Others use old data encryption technology, which can be easily cracked. Moreover, when using a free VPN service, you may have to wait for the server to turn on to connect to it. And there is a very real chance that in the course of your work you will be distracted by constant advertising. It is well known that the use of VPN slows the speed of connection to the network, and in the case of free services this becomes doubly true. No Logs Policy. The most important guarantee of your security is the absence of logs from the VPN service. Look for a service which gives you this opportunity. Customer Support. Any reputable company must have high-quality technical support, which will instantly answer questions from the customers. Make sure this service is available before purchase. 1) Shared VPN server – your IP address is dynamic and can be changed each time you reconnect to VPN. Secondly, the traffic is shared with other VPN users, so your connection speed depends on the server load. 2) Personal VPN server – you have one non-changeable IP address, you don’t share the server with other users and you have fast VPN connection. The Connection via IP Address. Your virtual IP address should consist only of numbers, not a site or subdomain name; otherwise, your Internet Service Provider will be able to see what sites you visit. Simultaneous using of VPN on two or more devices. Check if the VPN provider allows you to use one account on different computers or devices so that you can use your paid subscription at home, at work or shared with your family members. Otherwise, the VPN service will be inconvenient to use and having to purchase a subscription for each personal computer will be more expensive. Let’s sum up. For a reliable VPN connection and anonymous Internet activity, the VPN service must be paid, log-free and enjoy a wide variety of servers and countries for connection. In addition, a good VPN should have quick technical support, the possibility of several simultaneous connections and, finally, be easy to use. If you don’t want to spend a lot of time analyzing the best VPN services, we can recommend our own solution: VPN Client for Mac. It supports all of the above requirements. You can get a Free Trial for 7 days with unlimited bandwidth to make sure of the service. VPN Client provides 90+ VPN servers in 6 continents of the world and even Personal VPN Servers for your ultimate online security.